Moksad Ali got off the SS St. Louis at New York City on the 18th of June 1897. He and eleven other Bengali Muslim men from Hughli and Calcutta had taken the ship first to Southampton and thence to the Big Apple. On board they had travelled, crammed into the cheapest quarters with a German butcher, a Japanese cook, an Armenian student, and two Russian Jewish tailors alongside the many returning Americans. Ali and his friends were all peddlers. They came to the United States with bags full of fine chikankari work and other small exotic knick-knacks, and travelled all along the East Coast hawking their wares at seaside resorts and cities in New Jersey and Pennsylvania. This was not Ali’s first trip. 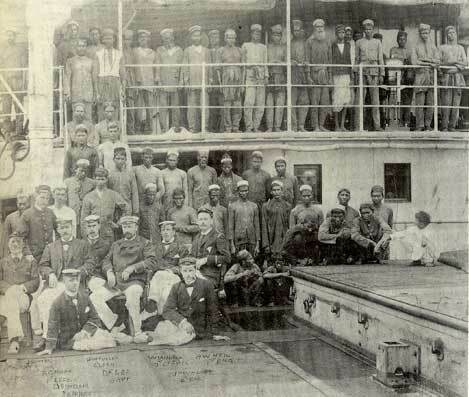 He and others like him had been making regular trips from Calcutta to New York since the 1880s. Yet, unfortunately, on this occasion the immigration officers refused admission to all twelve and deported them back to Southampton. Within two years, however, almost all the twelve men were back and hawking the ‘Oriental goods’ on the American East Coast. 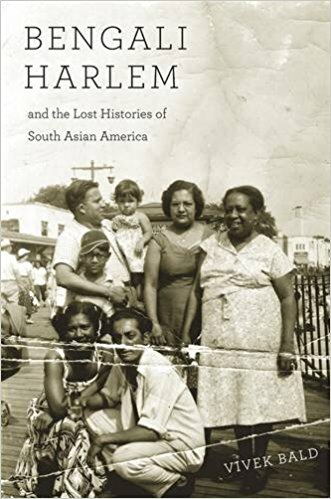 The incredible story of the resilience, creativity, and grit of these Bengali men and the Bengali Harlem they built has only recently been brought to light by Vivek Bald. But were they the first Bengalis to see the Statue of Liberty? And what about other cities on the East Coast? What about Philadelphia? When did the first Bengalis come to Philadelphia? The question intrigued me. It was idle curiosity of a sort, I suppose. Then again, as an immigrant caught between Calcutta and Philadelphia, it was also something more than just idle curiosity; it was a strange desire to find comfort in precedence, to seek solace in history. So I wasted a couple of days looking through the old papers of the City of Brotherly Love. I will spare you the details of the hours of frustration and mild headaches from reading the small print on cheap paper. All that is another story, and quite predictable at that. What was much less predictable was what I stumbled upon. Or rather, whom I stumbled upon. It was ‘John’. ‘John Lascar’. No. That was almost certainly not his name. 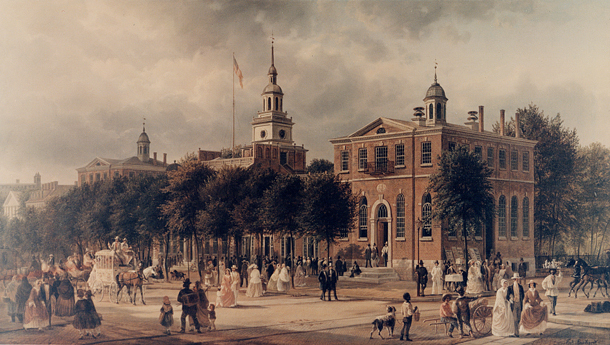 But on 25th August 1798, he was admitted to the City Hospital of Philadelphia. He was described as a “Lascar from the ship John”. The ‘lascars’, as any fan of Amitav Ghosh’s Ibis Trilogy would know, were a motley crew. Not all of them were Bengalis or even South Asians. There were Tamils, Malays, and Chinese amongst them as well. Yet many if not most of them in those early years were still from Bengali ports. Particularly from Chittagong and Calcutta, and so most likely was ‘John’. When I began searching for earlier signs of Bengali presence in Philadelphia before Moksad Ali and his friends showed up, I had been hopeful of finding someone a few years before 1880. Perhaps even a decade or so earlier. But this was almost a full hundred years earlier. Just to think of it boggled the mind. This was a time when Rammohan Roy was still a boy. One of Mir Jafar’s sons still warmed the throne of Murshidabad. The Mughal Emperor was still nominally in power. Both Tipu Sultan and Peshwa Baji Rao II were still giving the John Company a run for their money. Amidst all this, a nondescript Bengali was in Philadelphia. It seemed beyond belief. But what happened next was even more astonishing. On 28th August 1798, three days after being admitted, John “eloped” from the hospital! There is no further record of him. Tantalizingly the trail runs utterly cold. Where did he go? Did he really elope? Or did the word mean something else back in 1798? If he did elope, whom did he elope with? How did he meet her? Was it one of the nurses or a fellow patient that he eloped with? Like his real name, we shall probably never find out who he was, where he went or who his beloved really was. Yet the fact that this slight trace of his existence has somehow survived the ravages of time seems in itself miraculous to me. Men like ‘John’ seldom find a place in Clio’s bosom. Rarer still is it for their loves to be memorialized. It is at best their suffering and their misery that we can glimpse. Not their little triumphs and their warm pleasures. So, hungry as I remain for news about ‘John’ after his elopement, I must also acknowledge my good fortune in finding even this faint trace of him in the first place. John Lascar reminded me in turn of another John I had met nearly a decade back in another musty library full of old records. His name was not ‘John’ either. But unlike John Lascar of Philadelphia, I have a better sense of what this other John might have been called. His real name had most probably been Hasan Ali. I had found Hasan Ali on an old scrap of paper at the Bodleian Library at Oxford. Hasan was no ordinary man. He was a poet. He had published three of his verses alongside some sundry homilies and number omens on a slip of cheap paper sometime in the late eighteenth or very early nineteenth century. Such cheap papers with verses printed on them were common at the time. Known as Broadside Ballads, these slips of paper blurred the lines between news, entertainment, petition, and much else. They were sold on the streets of London and other British cities. While imperial themes on these broadsides were not at all uncommon, an actual poet from the empire in imperial Britain was as rare as a unicorn’s horn. Yet that was precisely what Hasan Ali was. Emblazoned atop the broadside in bold print were the words: “Please to Purchase this Paper. Price One Penny. FROM A FOREIGNER”. This legend clearly hinted at the seller himself being visibly ‘foreign’. Just as the unusual use of the phrase “please to purchase” hinted perhaps at the beginnings of a typically Bengali-English. The broadside then went on to introduce the ‘foreigner’ as John Hasenelly, ‘A native of Calcutta, in distress in a strange country, who seeks the protection on the hospitable shores of Great Britain’. Our’s are parted, lost and sold. It was this combination of rage, pathos, and humble faith in redemption through suffering that marked Hasan’s poetry. 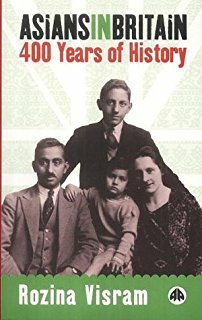 Hasan too most likely had arrived in Britain as a lascar. The destitute lascar on the streets of London was a familiar sight in the eighteenth century. Over the last decade or so their suffering has increasingly been documented and recognized. Yet, in both the Johns I met, it was not just their suffering that I saw. It was their resilience; their sheer willingness to remain human in the face of utter dehumanization. While John of Philadelphia chose to retain his humanity by falling in love and building, I hope, a new future with his beloved, John of London shared his tragedy with the people of the imperial metropolis while keeping alive his hope in redemption and poetry. Their names might have been lost to history, but their spirit and determination shine through their borrowed names. It is the light of that spirit that dispels the pall of anonymity in which Clio had tried to cloak their fates. John must have “eloped” with one of the hospital workers. I wonder if there are church records. The word ‘eloped’ was known to be used for simply leaving without permission at the time. So we cannot be certain if he really ‘eloped’ in the sense we use the word. But church records might indeed be one place to look. Thank you for the suggestion.